@SleepyYi It’ll get better. Trust. @SleepyYi Supposing doesn’t usually mean the whole story. I’ll ask again, you doing alright? Unintentionally Intentional Tech-Savvy Tech Advisor. 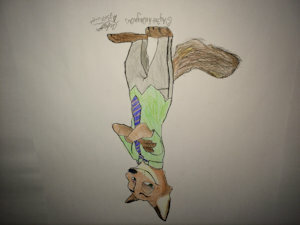 I love raccoons, wolves, foxes, even mice, and basically animals people don't like, or look down at, well I do! :/ Nothing really else much to say... :/ I give animals just as much respect as if they were people I love. Rocket Raccoon and Nick Wilde are the best characters ever. Wallpaper of choice: Movie Posters and Real Life Wolves!